Winter is here and this week I am transforming my porch and getting it ready for Christmas! Christmas lights have never worked out well for us, so this year I am 100% focusing on my favorite space in my whole house to decorate – my front porch! 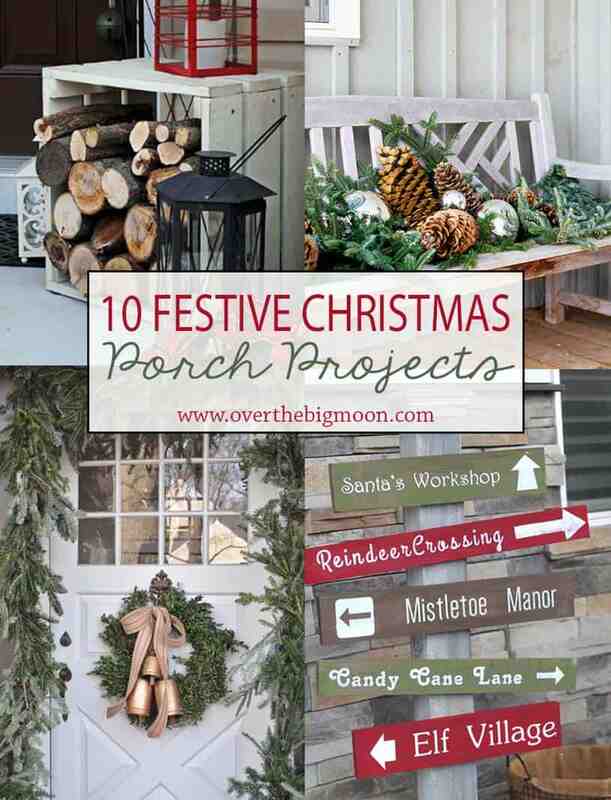 I am all about the Rustic Christmas decorations, so you’ll see that come through with the projects I chose! But, let’s be honest, Christmas is just a rustic holiday! So, it’s time to embrace it if you haven’t already! Now onto all the fun ideas! This simple rustic garland literally has me going nuts! I am so doing this to my front door this year! Isn’t it amazing! Plus, Tessa from Nine and Sixteen has a video tutorial on how you can make it using tree scraps! I was shocked how easy it was! This idea is so simple, but screams classic Holiday decor! You can generally find these at your local home decor stores! Don’t be afraid to buy a simple, plain evergreen swag and then dress it up yourself with some decorative picks and pine cones! 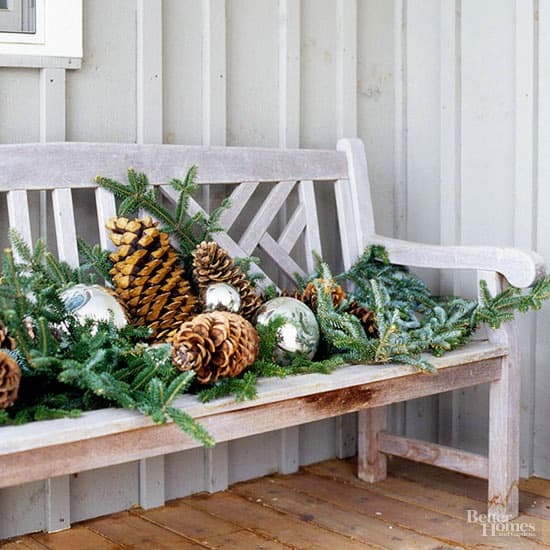 I LOVE the idea of using small fresh pine tress on your porch! It’s time to pull out all those dying plants and flowers anyways! You can purchase the mini pine trees at your local nursery, Lowe’s or Home Depot! 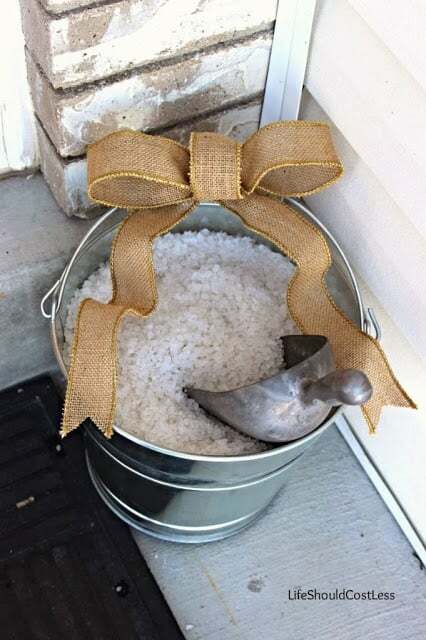 I love Rustic decor for Christmas and this is calling my name! Plus, how easy is this? 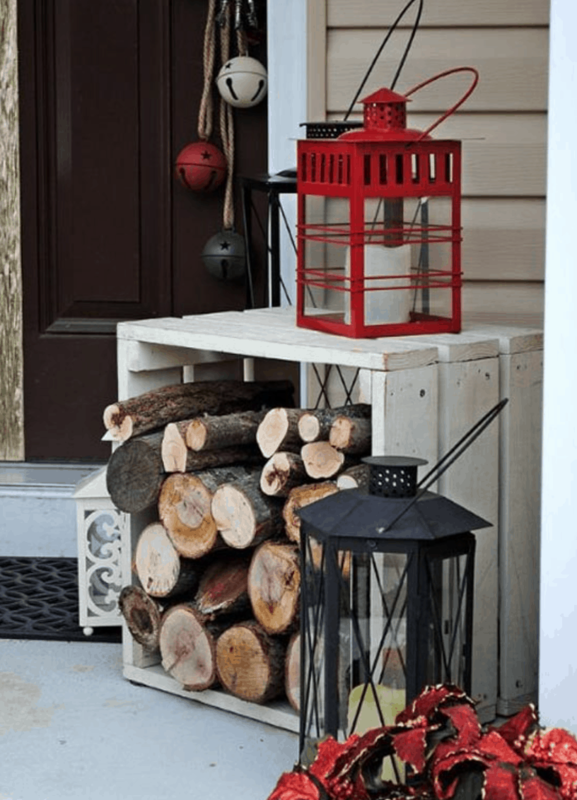 Just grab an old crate and some pieces of wood! Most porches have a good spot just waiting for a sign! My favorite thing to do each season is put together a fun porch sign! Last year this Elf Parking Only sign was a site and I’m going to be hanging it up again this year! 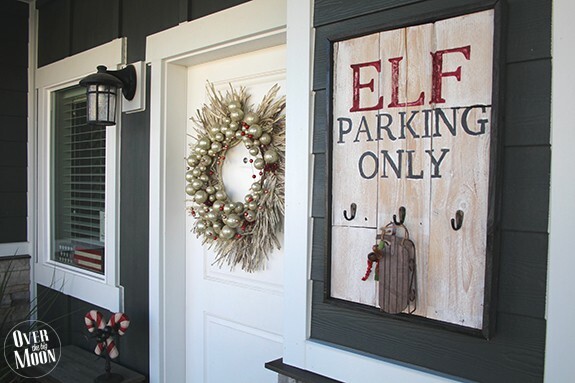 Find the full tutorial here —> Rustic Elf Parking Sign. 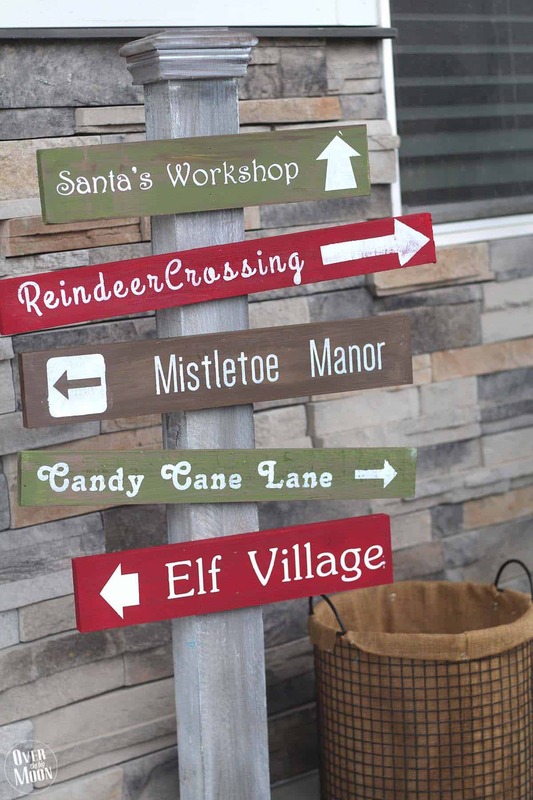 To go alone with the fun Rustic Elf Parking Porch Sign, this fun standing North Pole Sign can add a fun charm! It’s super easy and can be put together in just a few hours over a couple of days! I am literally obsessed with this idea! Let’s be honest, no one is hanging out on the porch during the winter! So, why not decorate it? I am literally drooling! 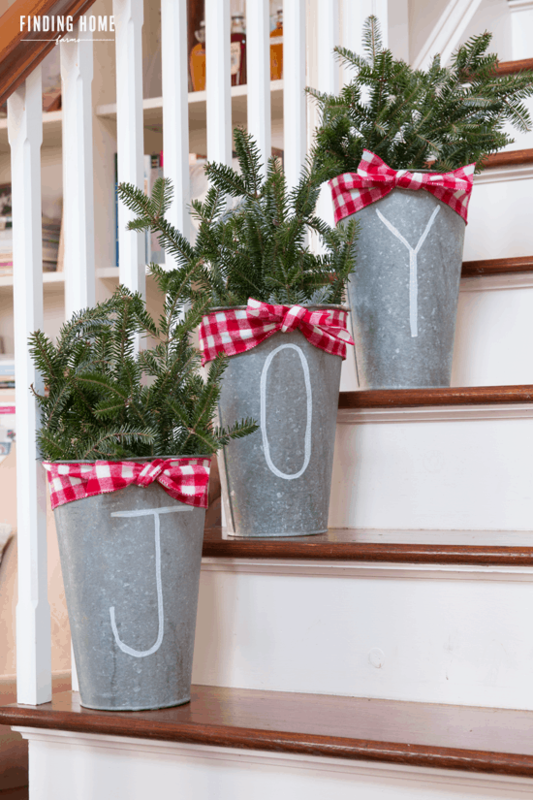 Love the practical part of this simple decoration idea! I totally plan on doing this! If you have some stairs this idea is such a simple solution for you! Plus, you can find these buckets in the clearance department year around! I am loving how they used the sleigh as a coffee table look! 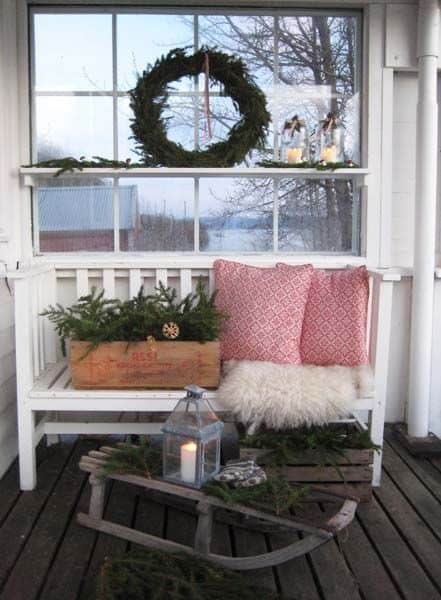 And in my opinion every porch needs some warmth brought to it with some cute decorative pillows and a blanket! Are you feeling inspired now? 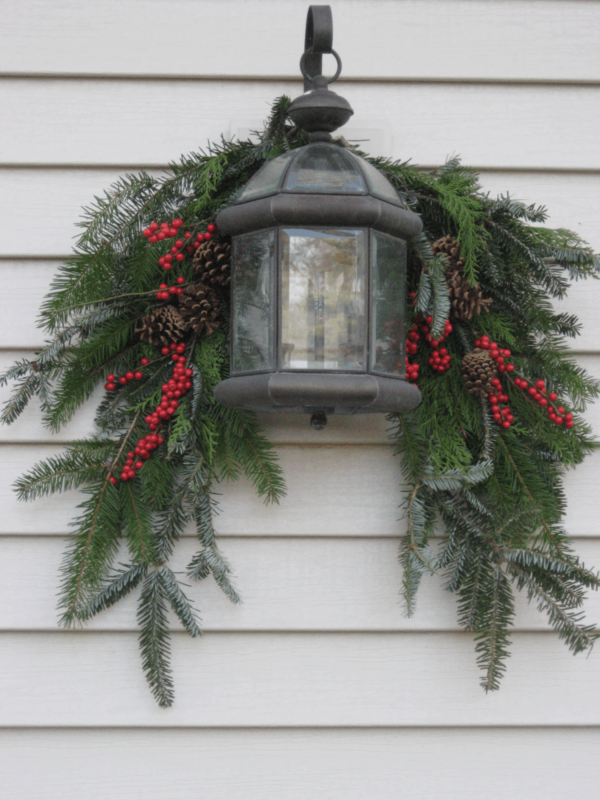 Now off to the store – time to Christmas-fy your porch! Happy Holidays friends! 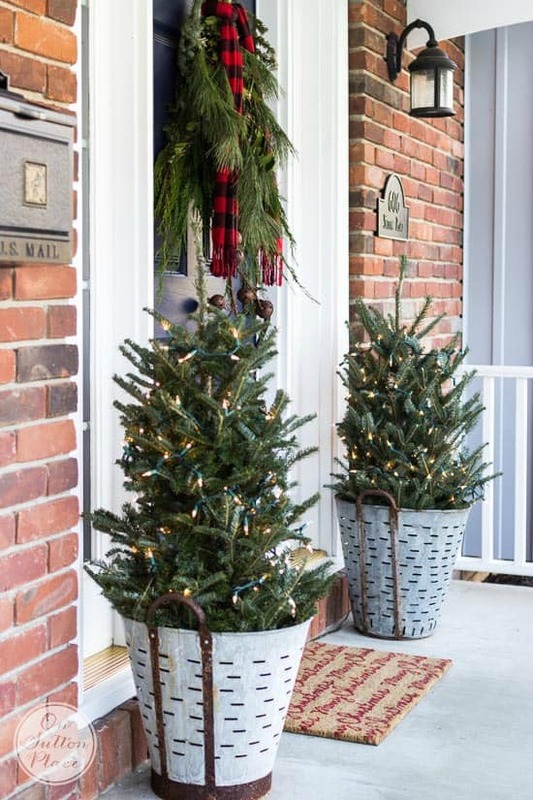 Ok, I’ve never done much with our porch at Christmas but I really love that garland idea and the little tree. I think this will be the year I do it!